Not one, but two layers of dreamy poly chiffon. Not one, but three masterworks by Vincent van Gogh: "Irises" on the right sleeve, "Starry Night" on the left, "Memory of the Garden of Etten," his boyhood home in Holland, on front and back. Wide neck, ¾-length sleeves, asymmetrical hem; hangs 31" at longest point. 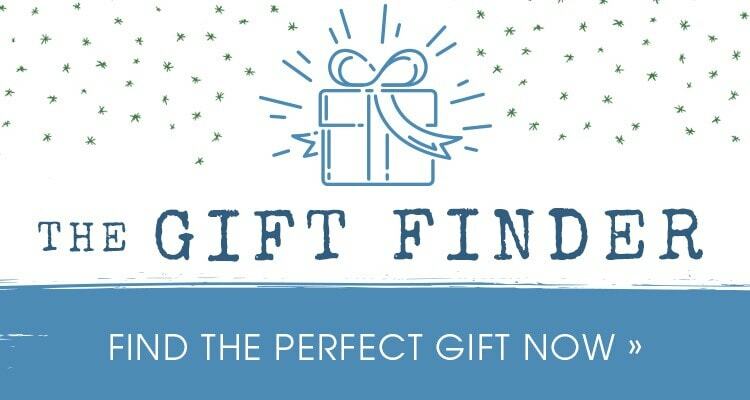 Sizes S/M (6-10), L/XL (12-18). Machine wash. Imported. The one-size-fits most fashion bangle cuff is a fine art masterpiece to slip on your wrist. Van Gogh's masterpiece "Irises," richly lacquered on brass. 1 1/2" wide, standard size (about 2 1/2" inside diameter). Made in India. 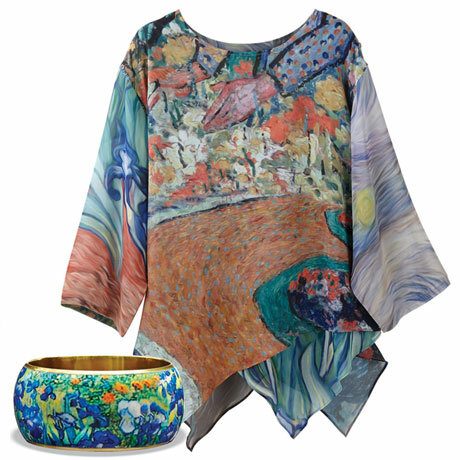 Van Gogh Gift Set includes tunic with matching Irises bangle.